French champion for the second time, Téo Andant is now among the best in Europe. At the regional championships in June, Téo had made the best French performance of the season with 47.11 seconds but was not necessarily the favorite for the French championships in Dreux. Loïc Prévot, who has a personal record of 46.3, as well as three other athletes were also in the running for champion. Later in the series, Téo achieved the second best time (48 for Guadeloupe Mbaye, 48.01 for Téo, 48.17 for Guyanese Loïc Prévot, 48.43 for Jude Christine). In the final, the weather conditions were very difficult (cold and rainy with strong winds). But the best juniors have competed in crazy conditions! The final stretch was impressive. Knees high, Téo drew all his energy to win in 47.85, ahead of Mbaye with 48.11 and Christine with 48.19. A 400m stretch that could have been run in less than 47 seconds if the weather wasn’t so bad. 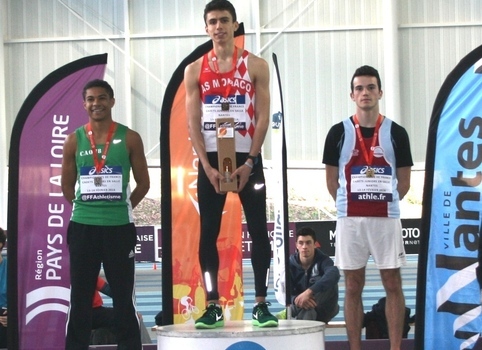 To better appreciate the level of this 400m juniors, just note that the 5th place runner, Loïc Prévot, won the 200m the following day! Two cherries on the cake: Téo Andant has passed his baccalaureate with distinction and has been selected for the French team for the European championships in Grossetto, Italy, which ended on 23 July. He currently holds the 8th European performance of the year with 47.11 seconds. He will be the only individual French representative in the 400m and is also participating in the 4x400m relay.